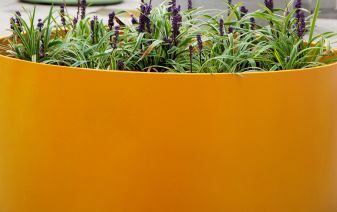 The Aladin is the largest planter in IOTA’s ranges of commercial plant containers, and is available in three sizes up to 1,200 litres in volume. 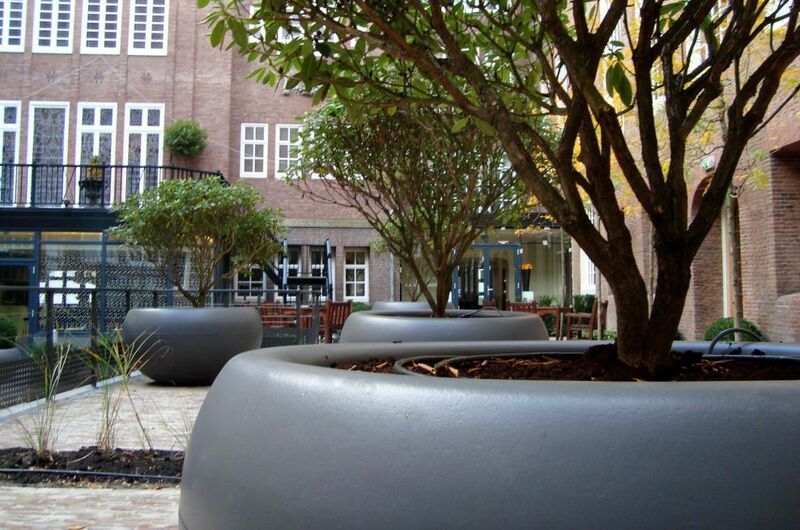 The Aladin is part of the Boulevard range of high-performance composite planters made from a proprietary form of Fibre Reinforced Cement [FRC]. 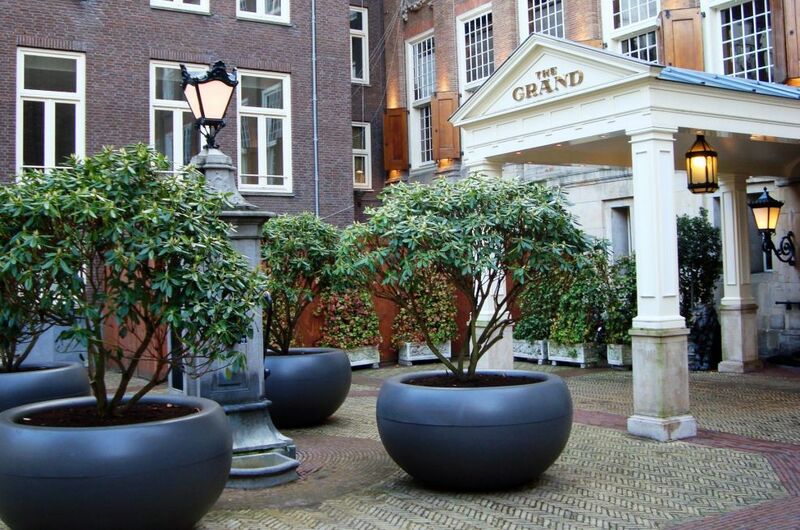 All Boulevard planters possess an exceptional strength-to-weight ratio, making them suitable for a wide range of environments – from weight-restricted roof terraces, to interiors, to public spaces. 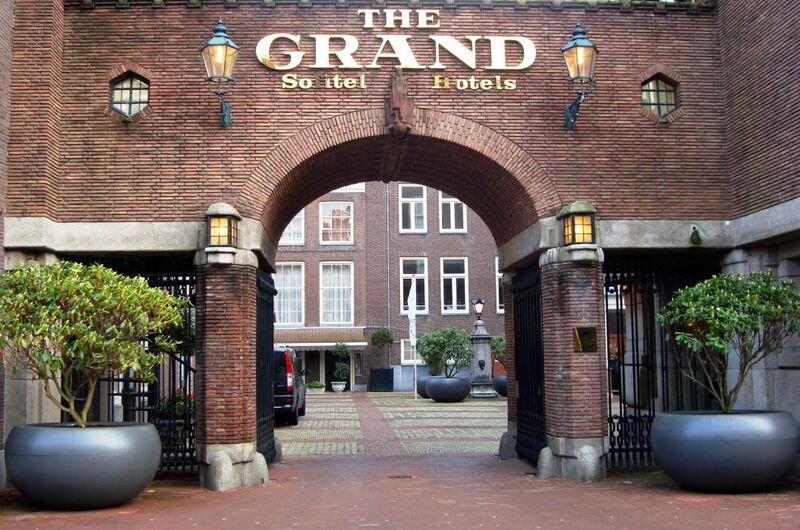 Aladin is featured here at Sofitel Amsterdam the Grand. 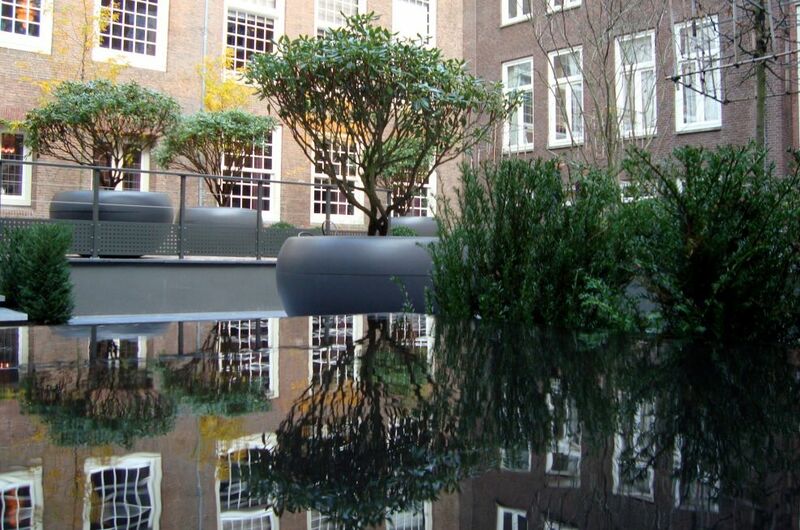 This scheme comprised eleven of the largest size of Aladin planters (diameter 165 cm, volume 1,200 litres), planted with Rhododendron, Hamamelis and Amelanchier. 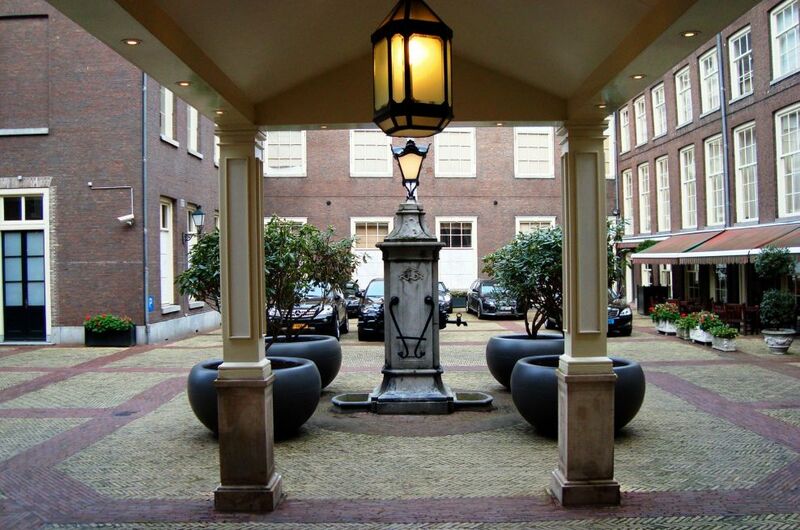 These large planters are used to create a sense of arrival at the entrance gateway and reception, and to ‘green’ other hard landscaped areas. 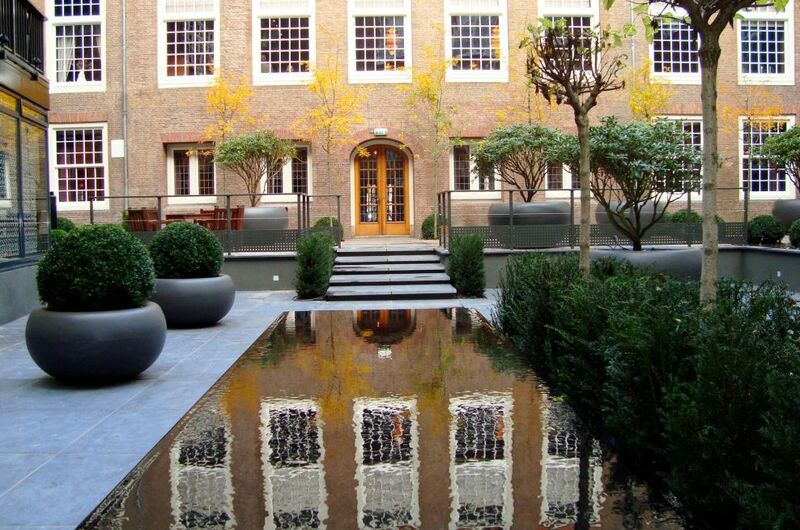 Two smaller, 112cm diameter Aladin planters, planted with specimen Buxus ball topiary, provide contrast and interest to a large rectangular water rill. 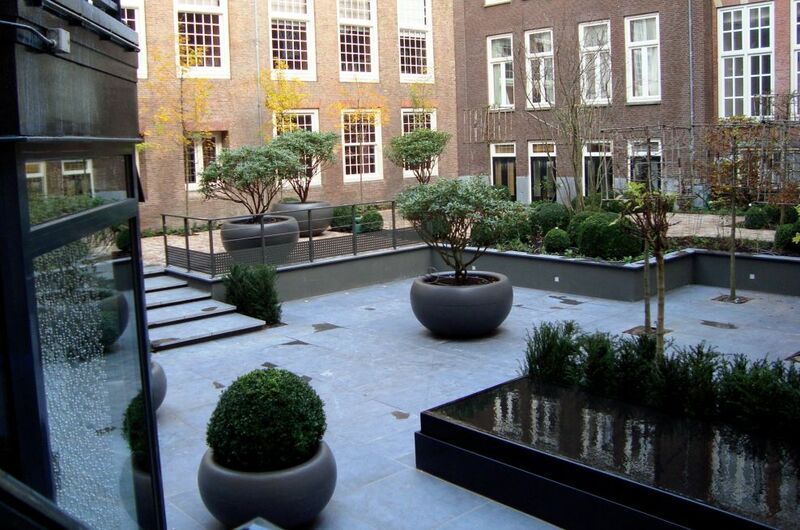 All of the Aladin planters are connected to irrigation and lighting systems, highlighting the versatility of the Boulevard material to on-site modification.